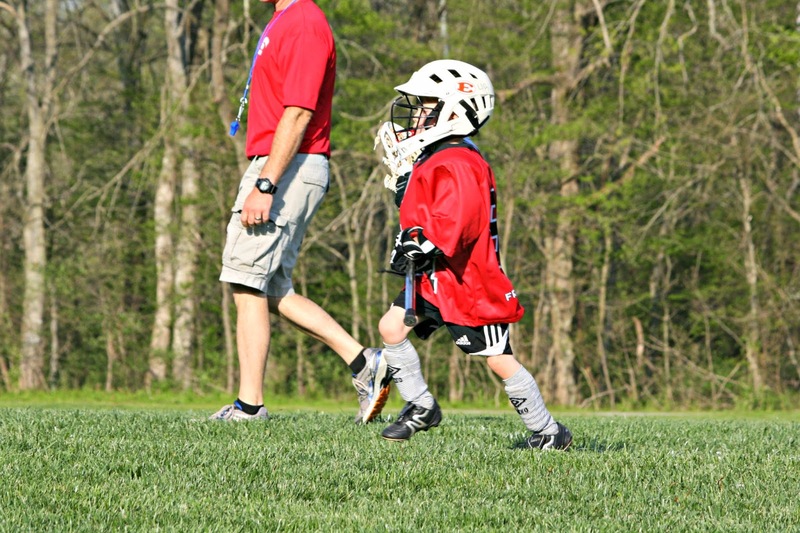 Reid is in the youngest age group for lacrosse, so his games were short and sweet. The matches only last 10 minutes. They call them playdates. So at one game, he might play three other teams, but each one for just 10 minutes or so. 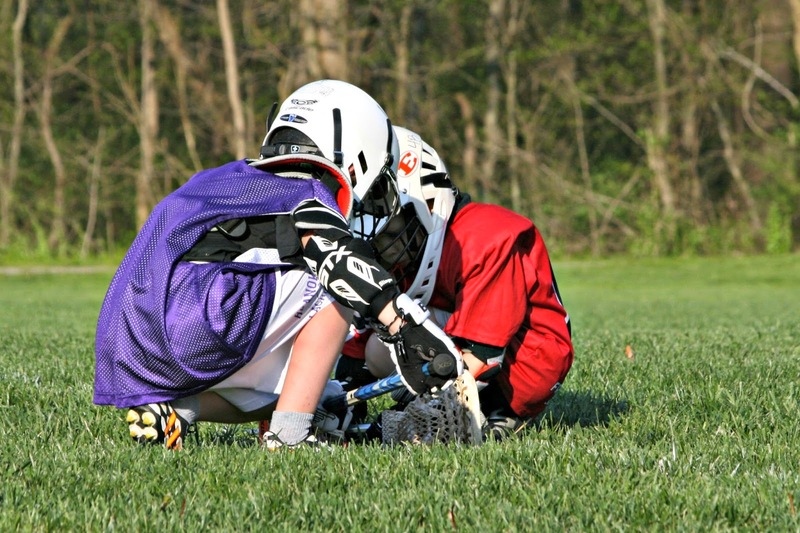 Here he is doing what is called a 'face off' with another player. There's a ball in the grass between them and they each have to try to get it. However, Reid isn't totally clear on what he's supposed to be doing (and neither are we, so we can't really help him out). But he seems to have fun running back and forth, even if it's always the older kids who end up getting the goals. I think that if he decides to play again next Spring, he'll fare much better because he'll have a season under his belt, not to mention having a little more size and maturity. Regardless, you have to admit he looks pretty cute in all his gear. And he gets plenty of exercise running up and down the field. That's win/win in my book! That it's something he chose to do, and he's sticking with it is even better. Go Reid! Thank you for your kindness Lisa, it is much appreciated. Looks like Reid is having a blast. Glad they shortened the game for them. 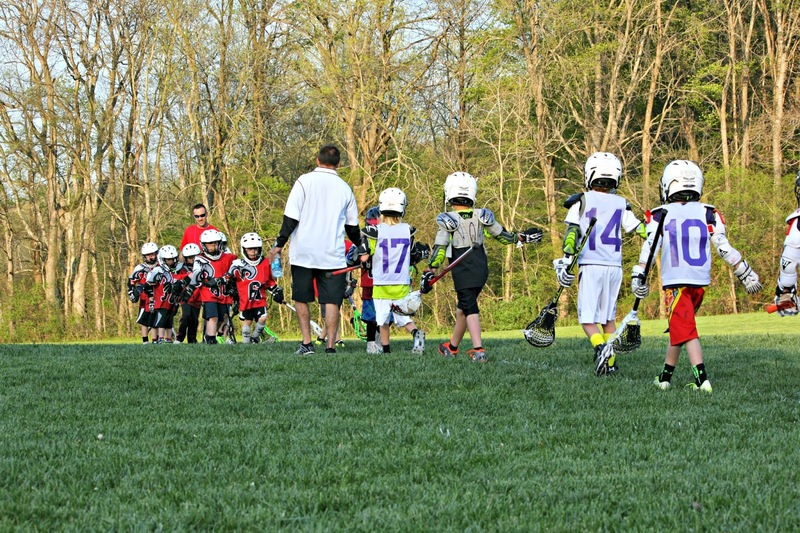 LAX is getting popular around here, very nice. An old sport with lots of energy being used. He looks super cute! I really like this game, it's something that I too have just been experiencing and it's really fun for all! Great pictures! the helmet looks HUGE for him! so cute. Awww, he is so cute, and he is growing up so fast! There is LaCrosse around here, too. We see them playing in Charlottesville when we pass by. I know nothing about it, just like you. SO whenever you find out the rules and goal, I hope you will give us a quick lesson! I will be able to impress everyone! Just too cute! I bet he'll come to love it, and be really good in time. Oh my! He's growing up! I love how you're getting them into different sports. 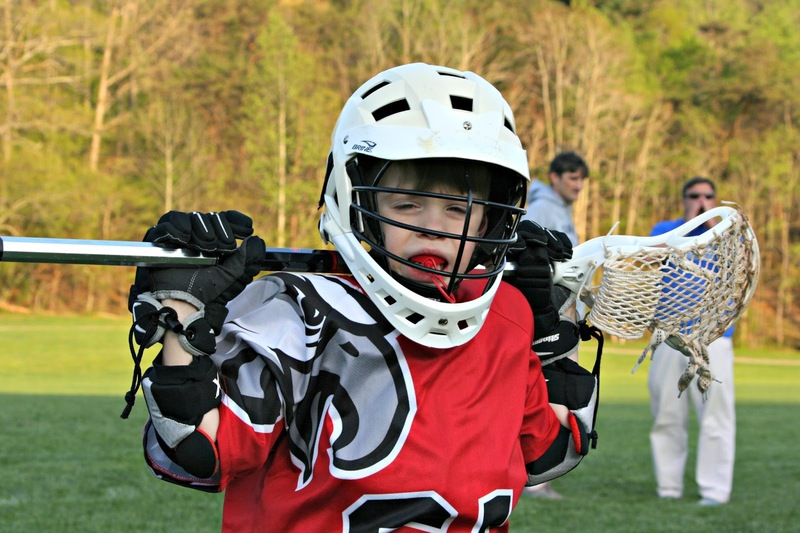 Before you know it they'll be Lacrosse playing, dance loving, and horse riding pros! How exciting! I'm afraid I am clueless about Lacross also, but anything that involves getting a kid outdoors and exercising is a win-win for sure. He does look handsome in his uniform. He really is a cutie pie! Way to geaux Reid! Btw, your comment did not show up in my email; I accidentally found it while scrolling thru my blog. Certainly a win win situation, Lisa. Looks like fun.We don't have that in Georgia, at least not that I know of. Soon he will be big enough for his first dirt bike. he does look adorable! 10 minutes?!! it probably takes longer to get all that gear on! He is such a cutie! I agree--Even if he doesn't understand all the game yet, he's getting exercise and having fun. That is so cool-- and what a cute photo! I'm glad he's enjoying it! Have fun, Reid! Go Reid! He does look cute in his gear, and he seems to like it. Sounds like a "win" to me! They sure do grow up fast Don't they? I can't believe how big he is getting.